Our Premium Earthworm Compost was made by half a million worms (Eisenia fetida) at our Queens Reuse Center in our continuous flow system. The feedstock was New York City food scraps. 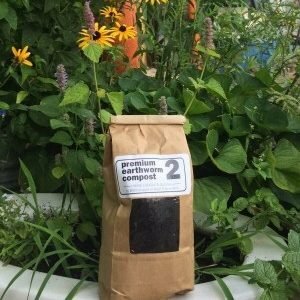 Add earthworm compost to potting mixes, indoor plants, raised beds, or garden beds to maintain fertility and improve soil structure. Mix no greater than 1 part earthworm compost to 5 parts topsoil or potting mix.